49 Sylvan Grove, Umhlanga Rocks, Kwa Zulu Natal. South Africa. 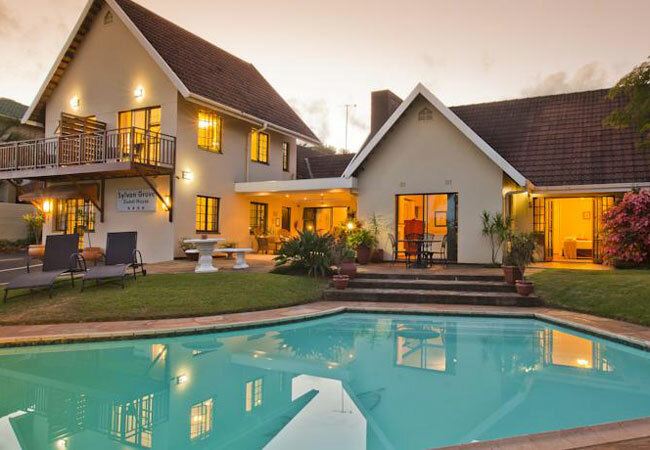 This 4 star and AA Superior graded Guest House is set in a tranquil, tropical garden with swimming pool and prolific bird life and is a perfect place to relax and unwind, but for the business person is close to Umhlanga and La Lucia Business Parks and a 15 minutes drive to Durban CBD and The Durban International Conference Centre. We are only 20 Km from King Shaka International Airport .